If your next Walt Disney World vacation has you staying at Saratoga Springs resort, here are a few things you have to look forward to while you are there. This DVC resort is one of the biggest resorts and has everything covered to make your vacations magical. 1. Rest and Relaxation – If you have a little down time on your vacation, make sure to schedule a massage or other spa treatment at Senses. Saratoga Springs is one of only two Disney resorts with a spa on property. This full service spa has every spa service you could need to relax. 2. Recreation – Head over to Community Hall and enjoy a game of tennis or basketball. If you are looking to BBQ, you can also rent grilling utensils to use at the outdoor pavilions or enjoy complimentary arts and crafts and board games. Need to get a run in? There is a great running trail marked for distance or you could rent bikes to enjoy the scenery. 3. Room Selection – Saratoga Springs isn’t like most Disney resorts because it is a DVC resort that does offer rooms when available. The rooms aren’t standard rooms. Saratoga Springs offers studios with kitchenettes and 1, 2 or 3 bedroom villas with full kitchens. These type rooms can be perfect for families who are traveling in large groups and may want to cook a few meals and spend a little more time at the resort. 4. Pools – There will definitely be a pool that suits your needs at this resort. Saratoga Springs has 5 pools. That’s right, 5!! Some have waterslides and whirlpools while others have splash pads and playgrounds. For even more fun, go to the Grandstand pool for fun with water cannons. 5. Dining – If you are looking for a nice, casual dining option with a beautiful view, try The Turf Club Bar and Grill. This American cuisine restaurant is set between the golf course and lake with views as great as the menu. There are also 2 quick service options and a pool bar along with the classic Disney in-room pizza delivery service. 6. Disney Springs – With shopping and dining options galore, you will be very happy to be so close to Disney Springs. You won’t even need Disney transportation to get you there. Just a short walk and you will be there or you can take the boat from the resort. Disney Springs is constantly adding new dining and shopping options, so make sure to book any reservations you may need early. 7. Tree House Villas – If you are traveling with a large party, make sure you check out the Tree House Villas. These secluded villas are hidden among the trees and can easily sleep up to 9 adults. They also have a full kitchen and amazing outdoor deck to enjoy the settings. 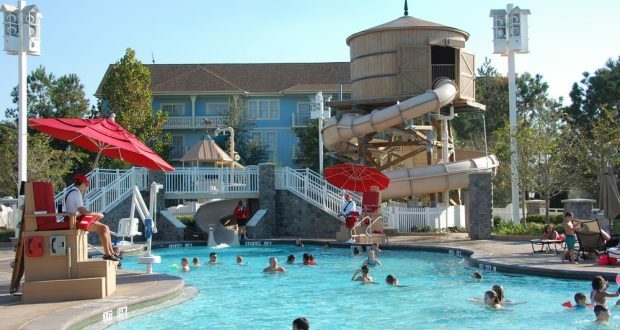 While Saratoga Springs is one of the least “Disney” resorts around, don’t be fooled. It is still filled with Disney magic and special touches. This resort will help you forget the hectic world outside when you stay here and enjoy the all that Saratoga Springs has to offer.